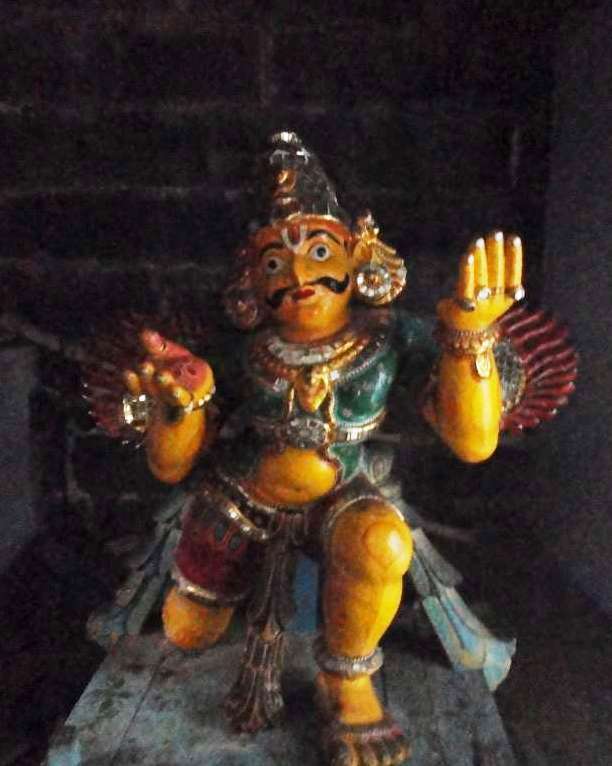 I have been writing about Temples ~ mostly about the Allikkeni Divyadesam – of the purappadus and festivities to Lord Parthasarathi and other Emperumans at Thiruvallikkeni. 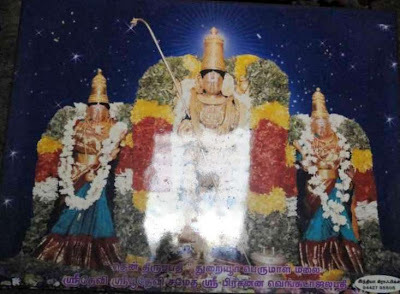 Recently I have posted about the Thirukachi Divyadesam [referred to as Perumal Kovil – Kanchipuram Devarajap Perumal purappadu] and on Thiruvarangam [referred to as Kovil – Numperumal Ranganathar]. Also posted about an Abhimana sthalam ‘Namakkal’. Here is something which would interest you all. From Srirangam, as you pass the Tollgate and travel via Mannacha Nallur [from where you can go to Thiruvellarai divyadesam] on State Highway 62, you reach Thuraiyur, a town and municipality in Tiruchirapalli district. By some accounts, it is stated that this place once was ruled by the Zamindars and the people called them as 'thurai mars’. Subsequently from ‘thurai oor’ it got derivation as ‘Thuraiyur’ !! Thuraiyur is 47 Kms North-West of Trichirappalli and 100 Kilometers South-East of Salem. Perambalur, Attur, Namakkal, Musiri are located within 50 Kms radius. Like many other villages, agriculture is the main occupation and handloom is another main occupation here. 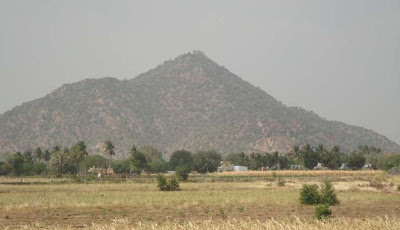 Thuraiyur houses a famous temple for Prasanna VEnkatachalapathi situated on Thuraiyur-Perambalur road. 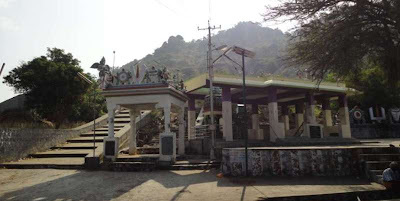 The temple of Prasanna Venkatachalapathi lies on top of Perumalmalai 960 feet above ground level in Pachamalai hills and has 1532 steps. 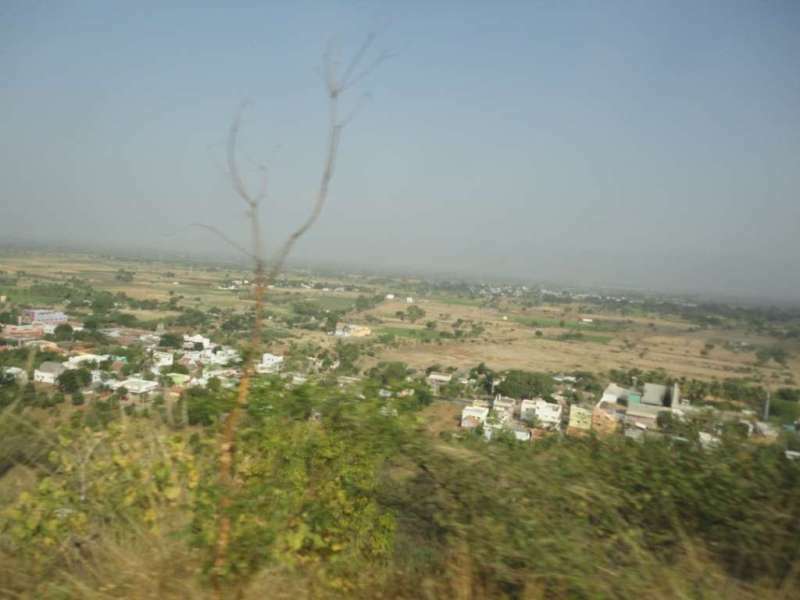 The local trustees have ensured maintenance of a fine Ghat road of around 5 km so vehicles can reach the top of the hill easily. It will take about 15 minutes in vehicle and about an hour in walking through steps. 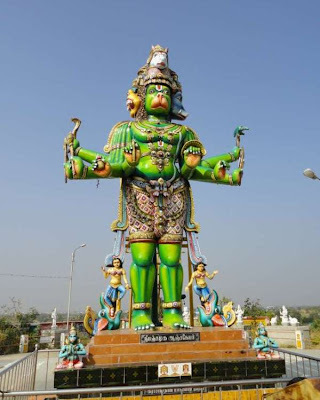 This temple is said to be constructed by the grandson of Karikala Chozhan. Thousands of devotees take part in the Girivalam procession around the Perumalmalai hillock on all full-moon days. Being a temple for Lord Srinivasa, the month of ‘Purattasi’ assumes special significance and large nos. of devotees come from nearby places to have darshan of Perumal on the hill. 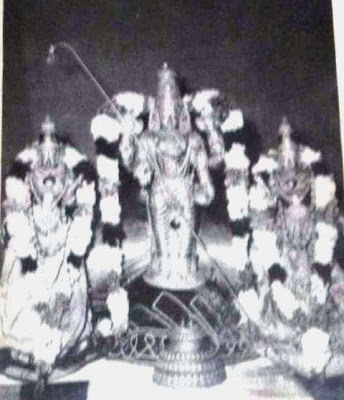 The temple has a stone hanging that is said to produce ‘sapthasvaras’. 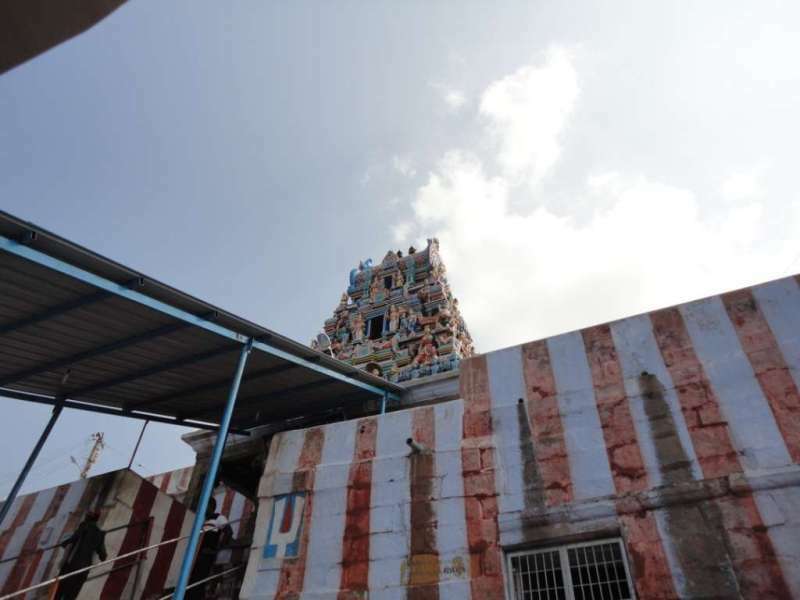 This temple is believed to be ‘Then Thirupathi’ of Trichy as many similarities existing with the glorious Thirumala Tirupathi. There are seven hillocks to cross; Alarmelmangai Thayar is having a separate shrine; Govindharaja perumal in lying posture is having a temple at the foot hill; and there is a village known as Nagalapuram 5 kms away. 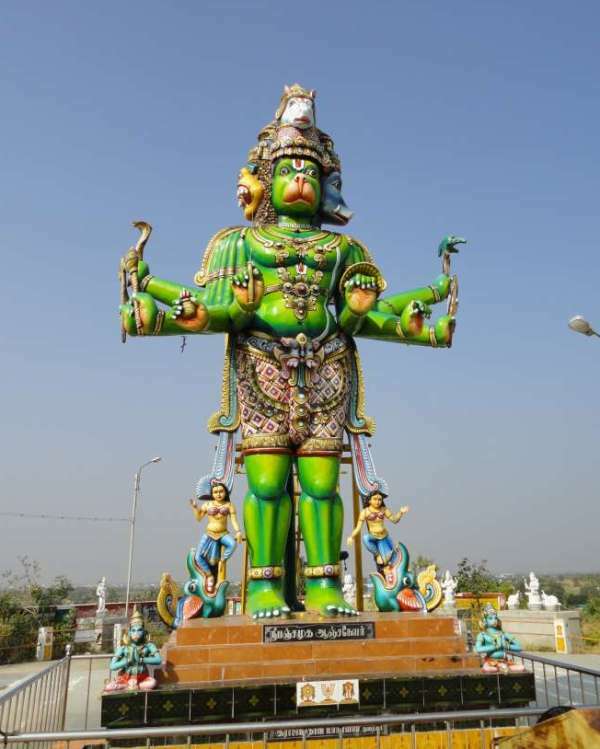 There is a huge Hanuman in standing posture at the base of the hill [adivaram]. Here are some photos of the temple taken during our visit to the temple recently.